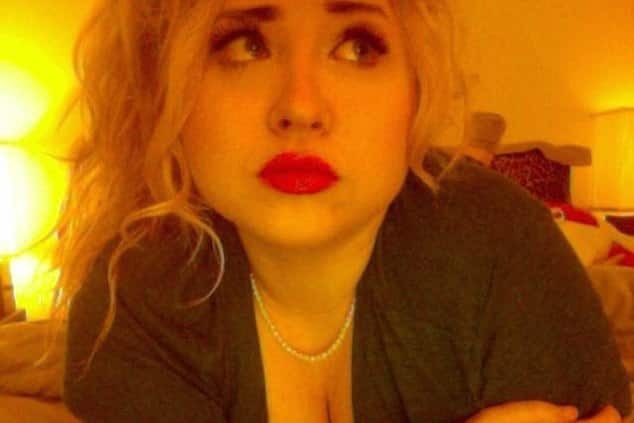 What led to Carly Kalbfleisch a Nevada, aspiring actress stabbing her mother to death? How a mother and daughter volatile relationship led to tragedy. 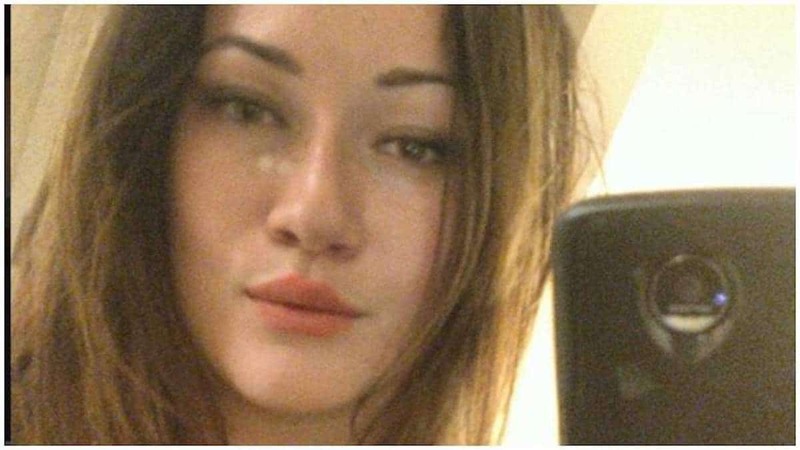 Carly Kalbfleisch a 26 year old Henderson, Nevada aspiring actress has been arrested after stabbing her mother to death during an argument. Notice of the mother’s murder came after police in Henderson responded to the 3700 block of Via Gaetano Street circa 12.20pm on Tuesday after Kalbfleisch called 911 to report a domestic violence incident with her mother. Officers found the 65-year-old victim inside her home suffering from numerous stab wounds. She was pronounced dead at the scene noted news3lv.com. The victim’s identity, along with the exact cause and manner of death, will be released by the Clark County Coroner’s Office at a later time. Kalbfleisch was arrested without incident at the home and transported to the Henderson Detention Center, where she was being held Wednesday on a charge of open murder. As the woman was being led away, Carly asked police, ‘Please tell me she is dead’ without being asked any questions. 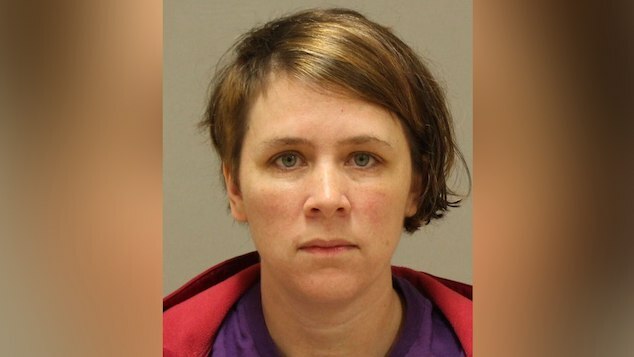 Carly was previously arrested in 2014 for domestic battery against her mother. At the time the daughter admitted grabbing her mother’s arms ‘in an angered effort to force [her mother]’ to put away two small barking dogs. Of note, neighbors told of the daughter covered in white paint at the time of her arrest. 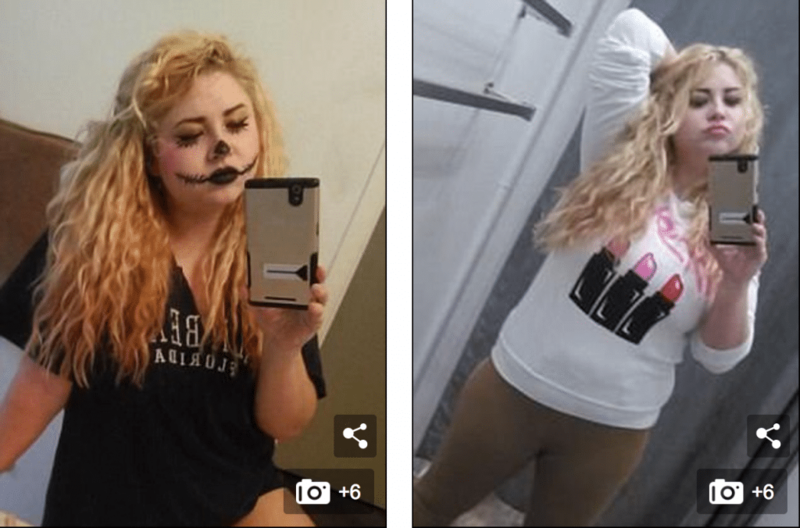 The murder came as Kalbfleisch had been promoting herself on social media as an aspiring actress, singer and model noted the dailymail. 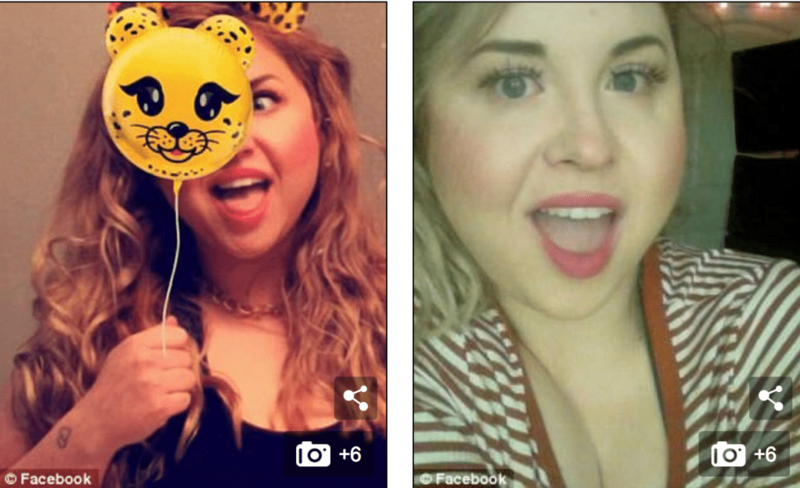 Fewer than four hours before murdering her mother, Kalbfleisch had gone on instagram wishing everyone a good day, accompanied by a selfie of herself featuring a playful Snapchat cat filter. 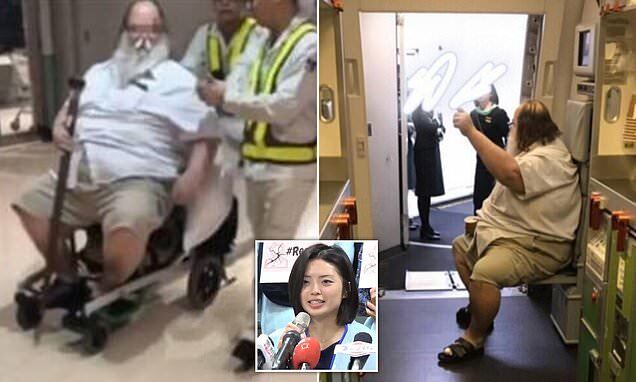 Yet perhaps even more bizarrely, the daughter earlier this month had posted a video on Facebook in which she directed her followers to check out her a capella rendition of the Justin Bieber single Boyfriend on YouTube while tearfully thanking people for supporting her budding musical career. 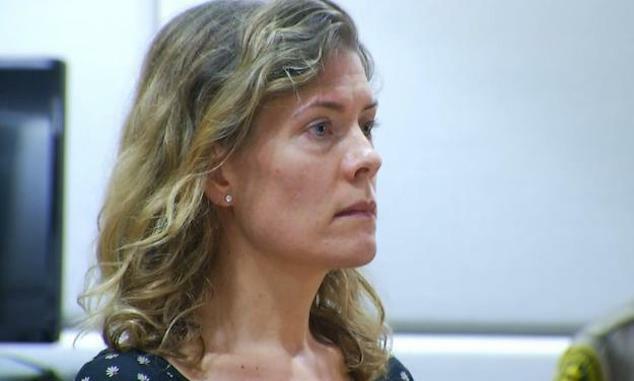 Some neighbors in Henderson said Kalbfleisch and her mother had been known to argue in public. 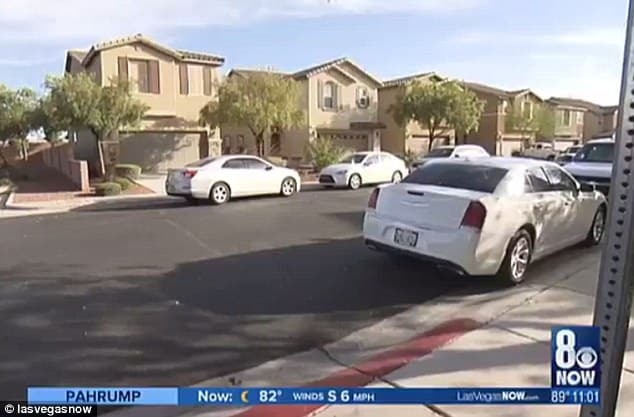 One neighbor according to LasVegasNow described the daughter as somewhat of a recluse who would sometimes sit in her car parked outside her mother’s home for extended periods of time. 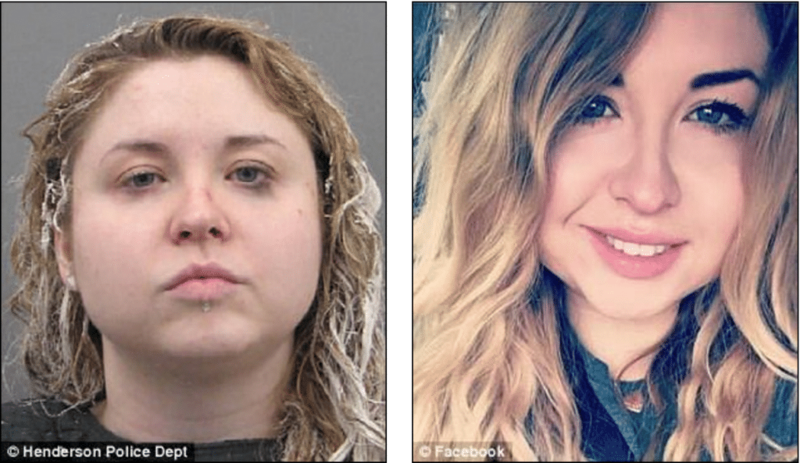 Carly Kalbfleisch police bookings photo, left hand image. Crime scene: Kalbfleisch called police to her mother’s home on Via Gaetano Street in Henderson, Nevada (pictured far left) Tuesday afternoon.